1.Powerful Motor and 4 Stainless Steel Blades Knives: 2000w and 4 stainless steel blade knives. the food can be completely broken in a few seconds, and its cell wall rupture rate is as high as 85% or more. to go home after work, it'll take a few seconds to make a cup of freshly squeezed orange juice, can immediately eliminate the tired body and refreshing. 3.High security and protection materials: we use the jar food material resistant to high temperatures and unbreakable. if you forget to disable the start model and will automatically stop blending function. 4.Performance blender, great for soup, sauces, fruits and vegetables juicer, soy milk, grinding and smoothie maker in one - the ultimate multifunctional kitchen assistant. 5.Guaranteed purchase under 1-year product warranty. Please read our warranty card carefully in case of any accident. 1.The break-resistant cup means you can be more confident and comfortable working with your blender. 2.With the impressive 2L jug you can make enough for your friends and family to enjoy. 3.Multiple speed settings allow you to have maximum flexibility. From soft fruits to hard coffee beans, the CHEFTRONIC professional blender flexibility to process at different speeds and to different degrees with a choice of settings. 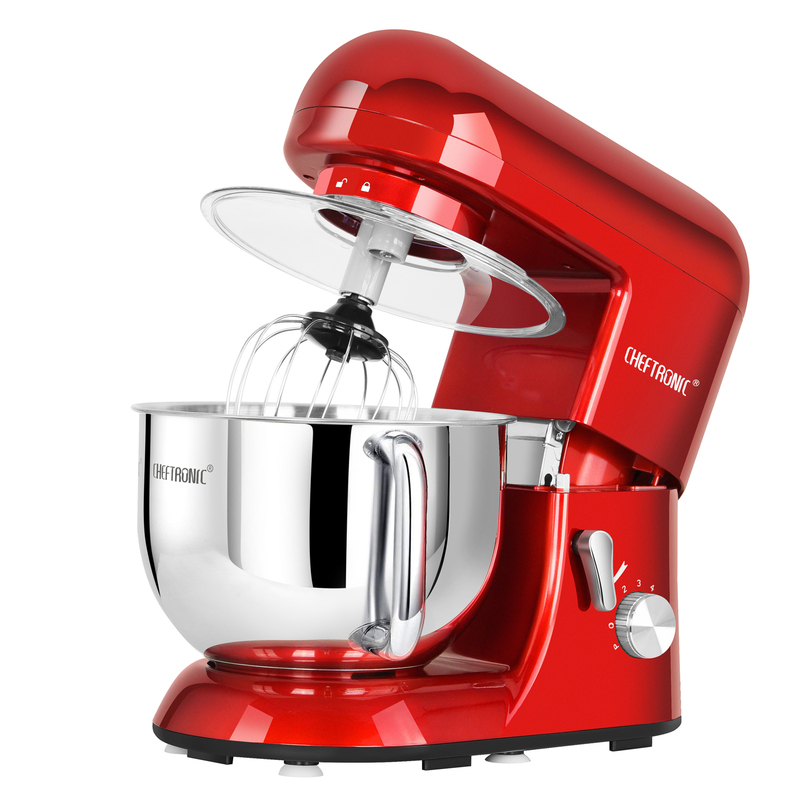 4.When using the blender the powerful 2000 W motor combined with the variable speed settings, allows you to blend a variation of ingredients quickly and easily. 5.Smart and auto modes are easy to operate and save your time to the most, LCD window displays makes the working time more accurate. 1.Pls check your order first to confirm whether it is branded with "CHEFTRONIC" when you receive your parcel. 2.All products branded with "CHEFTRONIC" has corresponding warranty service.Pls keep the warranty card in the package well in case of any accident! 3.The Adapter of this machine is UK standard, please note this point before purchase. 4.If you need more technology support and other help, pls contact us on the base of the warranty card.